Aardvark Letterpress specializes in custom letterpress printing for invitations, branding, fine art, business cards, letterhead, buck slips, and personal stationery. 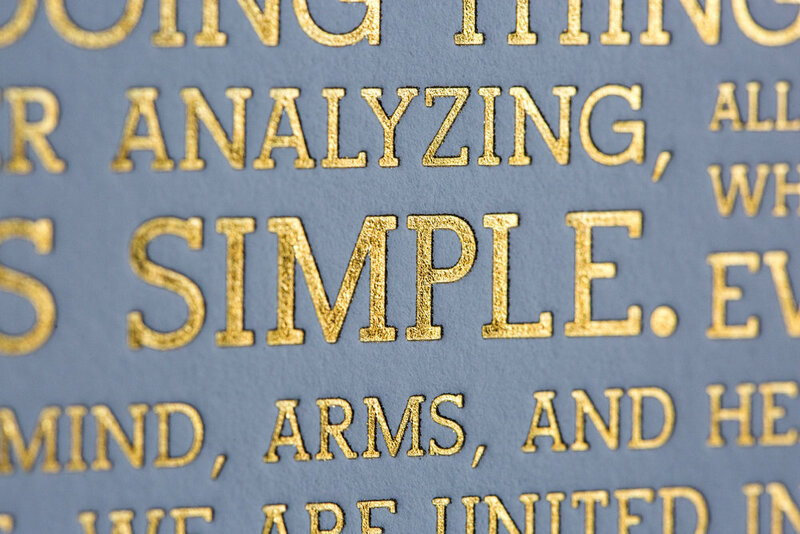 We offer a variety of unique services including embossing, debossing, edge painting, edge foiling, foil stamping, offset lithography, die-cutting, envelope conversion, and packaging. We can also print in multiple languages.